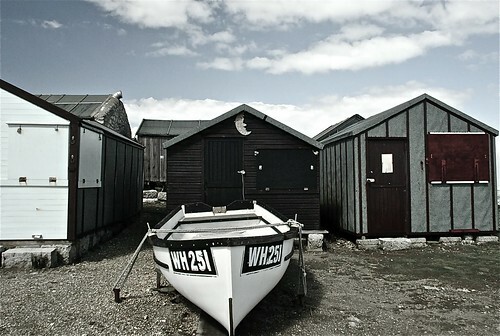 beach huts at Portland Bill, originally uploaded by badgerproductions. Beach huts at Portland Bill, there's many of them and, surprisingly, sell for around £30k! Still beach huts seem to be ingrained into the English phycology as "fish and chips" and "tat shops" by the seaside. They can come in many shapes and colours, sizes and "add ons" - but the feel of them remains the same no matter where you are in the country. These ones are by the lighthouse "Portland Bill" (red and white stripes, the other one is now a bird sanctuary, museum, and information centre). You can find the "isle of Portland" near Weymouth in Dorset located towards the end of "Chesil Beach". This is awesome, note the developers trying to get in before the land tax is imposed next year. Cyprus property deals during the first nine months of 2007 surged by a spectacular 42% YoY to CYP 1.7 bln or EUR 2.9 bln from CYP 1.19 bln a year ago in the same period, which was up 73% over the 2005 figures. Real estate analysts explain that the spectacular activity in property is mostly due to the impending imposition of VAT on land sales, with many developers rushing to lock in the deals before the additional taxation kicks in. By the end of October, bank lending to the property sector was up 33% with the public and the banks ignoring the new tougher lending measures introduced by the Central Bank, which reduced the leverage of property loans from 70% to 60%. The government meanwhile is racking in huge gains from the imposition of capital tax on property gains. State income from capital gains taxes jumped 155% to CYP 200 mln in the first nine months of the year compared to CYP 79 mln in the same period in 2006 and CYP 38 mln in 2005. I thought I would share this with you, I wrote this late last year but have been saying it for years. To use a small amount of money to control a large amount of money/asset. The amounts of cash being received and spent by an investor during a defined period of time, sometimes tied to a specific project. In property investment, cash-flow is king, as it will stop you moving forward if your cash-flow is not managed appropriately. You should also aim to build up positive cash flow from your first investment onwards. When your passive income is more than your monthly expenses, you have achieved financial freedom! A fixed mental attitude or disposition that pre-determines a person’s responses to, and interpretations of, situations. In property investment, you need to programme your mind for success by thinking outside the box, acting decisively, and networking with, and learning from, other like-minded individuals. You also need to recognize opportunities when they arise, and constantly take action to drive things forward. Banks are some of the wealthiest institutions in the world. They take your money, lend in out to someone else, and charge them interest. Why not do the same?! Use the bank’s money (mortgage) to buy an investment property. Other people’s money. Use tenants’ money (rent) to pay the mortgage. Other people’s money. The true way to massive wealth is to use other people’s money to take control of appreciating assets and make you money! It’s pure genius. There are a number of ways you can start investing in property - it just depends on your current financial position, your personal goals, and your attitude to risk. You see what I recognised is that I had a secret financial weapon at my disposal - EQUITY. (Equity is the difference between the value of a property and the amount of the mortgage secured on it). Let’s think about equity for a second. What does it do for us? We’re all aware that it’s a security blanket, and I’m of the same view myself. The reality is it’s doing absolutely nothing. It’s a bit like sitting on a gold mine without mining the gold! Your mortgage is like a shovel to get at this gold, so all those people who think it’s smart to pay off your mortgage are not making the most of their own home to use the equity in it to grow more assets. You also have access to another powerful financial tool – LEVERAGE. I was sitting on a property that I bought 10 years ago for £70,000 and now it’s worth £260,000. That means I had equity worth £190,000. What I did was leverage money out of my own home by re-mortgaging and withdrawing tax free cash - money that went on to fund £3.5 million worth of property. With property, it only takes a small amount of money to control a large asset. Let me explain. I think it’s fair to say that if you buy £100,000 worth of stocks and shares, it will probably cost you around £100,000. It’s also fair to say that you could buy a £100,000 property with a £10,000 deposit. Consider the maths. If your shares go up by £10,000 in a year you’ve made 10%. However, if your property goes up by £10,000, you’ve made 100%! It’s not rocket science. All I did was take a small amount of money out of my equity, and that’s now controlling £3.5 million worth of property. That’s the power of leverage! Yet here we are in 2007, and prices are still rising! Just recently the National Housing Federation issued a report suggesting that property prices were going to rise by 40% over the next six years. Research from Halifax Building Society shows that property prices have doubled, or even tripled, in the past 10 years. Just consider where your investment could potentially be in 10 years time! And the icing on the cake? With escalating house prices pushing buyers out of the market and increasing numbers of singles and families looking to rent, the rental market is expected to grow by 40% by 2012. Who are these people going to rent from? It could be you! You can’t buy property in the past, and you can’t buy property in the future. There’s only one time to buy it – NOW! I’ve never been one to say that anything is written in stone or guaranteed. However, what I will say is that if you do intend to go down the route of using property as an investment vehicle, then the sensible thing to do is surround yourself with like-minded people and expertise to ensure you move forward successfully. Get the right information from the right source, someone who is actually making a success of investing in property! That’s why we chose to come up with 4wallsandaceiling.com. We appreciate the value of education and that investing in property is not about owning a second home, it’s a state of mind – it’s being successful. A thousand mile journey starts with a first step. Your first step is to explore this site and find some inspiration..
To re-iterate Albert Einstein, ‘the only source of knowledge is experience.’ It’s the experience we’ve gained that we wish to pass onto you through this website. I’ll leave you with this thought. This is singularly the best investor tip that I can give you – START! What types of properties should I invest in? 4wallsandaceiling.com believes in building a diverse and balanced portfolio of both apartments and houses, and U.K. and international property. Before you decide what property investment strategy is right for you, you need to determine your own personal goals, as this will determine your own strategy, and will be based on your own financial situation, and attitude to risk. A fantastic way to start safely is to find out where there is a demand, and then create the supply! And while the old adage “Location, location, location” is important, in more professional terms it’s “due diligence, due diligence, due diligence”. In other words, research your chosen area thoroughly and understand the local market. Generally speaking, if you are looking for capital growth you need to locate new, build complete properties or off-pan opportunities from reputable developers in areas of sustainable capital growth and high rental demand. This could be anything from a one bedroom apartment in a city centre to a four bedroom townhouse in a leafy suburb, if that adds up to a sound investment. Look for properties in areas of investment, communication, and infrastructure with a ready supply of tenants. By its very nature, if investment is going into an area, property prices will rise. If it has great communication/transport links, and infrastructure (shops, leisure facilities, etc) tenants will want to live there. For maximum rental yield, more experienced investors can utilise a very specific strategy, which is taught on our recommended property training course. Properties accommodating five or more people become a House of Multiple Occupation (HMO). Recently introduced legislation means that a licence from the local council may be required and you will need to adapt the house to conform to local regulations. This type of investment may be suited to more experienced investors. Bear in mind that flats over commercial premises and studio apartments are harder to get finance for and you do not have such a great choice of mortgage products. Also remember, your flat might be over an estate agent when you buy it, but then a tattoo artist moves in a year later. That would de-value your property overnight! Keep away from properties on busy roads, under airport flight paths, or those close to railway lines or radio masts as these will not appreciate at such a high rate and tenants will find these environmental factors off-putting. You also need to be wary if a property is located near water as it may be subject to flooding. Also, if a property is located near industrial premises or sewage works, there may be off-putting smells and noise which downvalue a property and limit your market for potential tenants. Properties in areas of high crime rates are also to be wary of. We avoid the particular types of investments listed above. Parking is a very important consideration and will improve the rent-ability and value of your property. Balconies are always popular with tenants in city centres, while low maintenance gardens are good for houses. Tenants always like to have a lot of storage, so make sure you choose properties where there is built in storage, or plenty of space to put wardrobes. Try and find properties with equal size bedrooms and en-suite bathrooms, as these will particularly appeal to sharers. In a nutshell, if you buy the right property, in the right location, at the right price, with the right mortgage product, you minimise your risks as you will be able to charge a competitive rent, and so secure a tenant quickly. It is worth noting that new build properties come with a ten year NHBC or similar guarantee. They are therefore also low-maintenance and conform to all building regulations. As they are new, clean, and have all modern conveniences, they are a popular choice for tenants, especially in areas where a lot of the housing stock is older. Finally, whatever type of property investment you choose, you must ALWAYS have an exit strategy in place. In layman’s terms - how are you going to realize your capital out of the property should the necessity arise in the future? In other words, who are you going to sell it to if you need to? If you are serious about long-term financial freedom, you should really be investing in property for the medium to long-term, as the goal is to accrue equity from capital appreciation of the property. When you have accrued sufficient equity, and the rental income allows, you can re-mortgage the property and release cash, which is TAX FREE. You can then use this money to invest in more property. Therefore, the business model we advocate is to hold all your stock for the long term, release equity when circumstances allow, and purchases more property. In other words, re-cycle your cash. After a while, your portfolio will become self-funding. If you do sell a property, you incur a capital gains tax liability. Therefore, the true way to wealth creation in property is to hold onto your stock indefinitely, and just keep taking equity releases to fund further investment, finance your children’s education, allow you to retire, or fund your lifetime ambition. It’s up to you! View your properties as golden geese who lay a golden egg every few years. You can use an equity release from your investment property to pay back the original equity release from your own home, which means you only borrowed the money from yourself for a few years to grow additional assets. And on a final note, strangely enough, the more properties you have, the less the risk, and the easier it seems to get! Treat your properties as a business. Keep them well maintained to achieve the maximum rent. If you follow our blueprint, you won’t go far wrong. The key to being a successful property investor is down to being a successful landlord! After all, if no one wants to rent your property then you are paying the mortgage! There are always acquisition costs with any property and having a budget for these is vital. A few such costs are mentioned below and they should be considered or dealt with leading up to, and after, completion. The list is not exhaustive but should give some ideas. Start to liaise with letting agents 6 weeks prior to completion – get ideas from them as to what the demand is i.e. fully furnished, part furnished etc. They can start marketing your property, and, with the permission of the Site Manager, start showing people around. Keep in constant touch with your letting agent and encourage them to be pro-active and communicate with you regularly. Ask for feedback after viewings, so that you can establish what prospective tenants think of the property. You should already know what white goods (fridge/freezer, washer/dryer, dishwasher) are included by the developer – if you need to supply any, consider renting them. That way there is no capital outlay and the rental money is 100% tax deductible. You should have already ascertained what flooring covers are included by the developer – if no flooring is included, get quotes. Consider laminate for the hallway and living areas, and carpet for the bedrooms. It is worth spending a bit of extra money on tiling the bathroom and kitchen floors, as this is harder wearing than vinyl floor coverings, and also looks better. Blinds/curtains are generally not included by the developer. Therefore, get quotes or fit them yourself - don’t forget that tenants expect these to be done as standard. Bathroom fittings e.g toilet roll holder, towel rail, shelving should be professionally fitted to avoid your tenant doing a `bodge` job. The same applies to light fittings, which must be fitted by a qualified electrician. We recommend “dressing” your property with a few pictures, mirrors, shelves, etc as this will make it stand out from the crowd. We are of the opinion that if you present your property in the best possible light, it will attract a tenant quickly, and hopefully the tenant will want to keep the property up to the standard you have set. If your tenants require the property to be furnished, that furniture needs to comply with fire regulations. There are many companies who provide “furniture packs” specially for Landlords and deliver and fit the furniture, taking away all the hassle. We can recommend some companies to you, if required. Obtain permission to sub let from the management company – usually a fee required. Apply to the local council tax office for an exemption notice - this is available on a new build for 6mths providing that it remains unfurnished. Many Council Tax offices can now be contacted via email so look them up on the internet. Obtain landlord’s insurance – if you have purchased an apartment, the buildings insurance is generally covered by your service charge. Otherwise, with a house purchase, you should arrange buildings and contents insurance. Also consider accidental damage cover, rent guarantee and legal expenses. Consider having an emergency turnout service in place for your tenants if the letting agents don’t provide such a service. It can be cheaper to arrange such a policy at the same time as taking out the insurance. Car parking – is it included in the purchase price? If not, then this is an extra cost that usually can’t be included in the mortgage. Usual cost for car park space is around £15-20k. Before buying a space, liaise with lettings agents to see if it is essential. Ensure the property has the necessary gas and electricity landlord’ safety certificates. If you have your property fully managed, the letting agent will arrange this. We believe in protecting our investment by having our properties professionally snagged to rectify any defects that have arisen through the build - allow approx £250+VAT for the average 2 bed apartment. Keep receipts for everything – you may be surprised at what can be offset against tax!. Network – making contact with other landlords can be just as useful to a first-time landlord as well as to a more seasoned one! This can done via discussion forms, property magazines, local property network groups etc … the list is endless. The great thing about property is people with properties love to talk! As a property investor you never stop learning. It is a fantastic business to be in and done wisely, the most profitable thing you can do. So if you are not already involved in property – START !! Please visit our Lettings and Ready 4 Rent Sections for further information. If you have any questions and would like to know more about how 4wallsandaceiling.com can help you, please Contact us or Talk To The Wall.